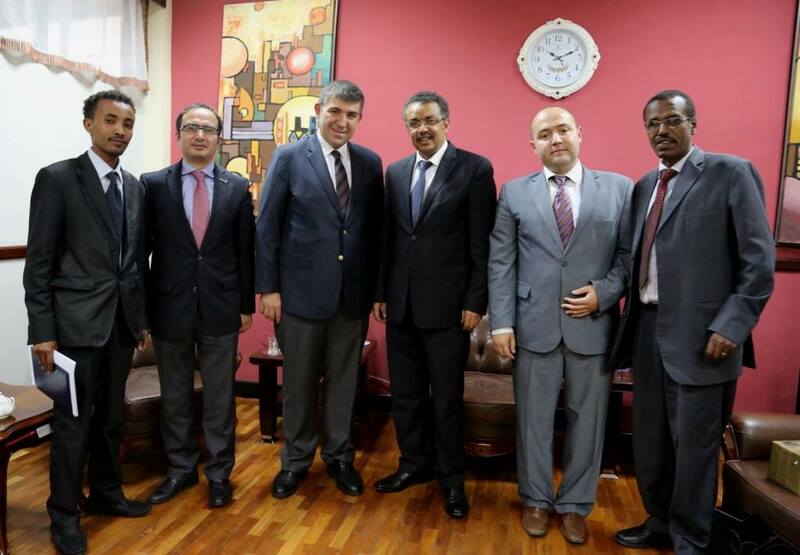 Addis Ababa (HAN) August 20, 2014 – Turkish investment and Public diplomacy trip. Turkish Confederation of Businessmen and Industrialists. Dr. Tedros told the delegation that the Government of Ethiopia deeply valued the relationship between Ethiopia and Turkey. The Minister said that Ethiopia welcomed Turkish industrialists and business persons to participate in the selected priority areas including industry, manufacturing, agriculture and trade. He emphasized that the Ministry of Foreign Affairs and the Government in general would offer every support for investors coming to Ethiopia. Dr. Mustafa Gunay, TUSKON’s Vice-President, briefly reviewed Turkish investments around the world and stressed that Turkey was very interested in investment in Africa now and particularly in Ethiopia, which he called the heart of Africa.